In 5561/1800, two years after the Baal Hatanya’s previous arrest and liberation he was arrested a second time; again, the charges were that his teachings undermined the imperial authority of the Czar. His second incarceration was less severe than the first and he was released on this date. Lubavitcher Chassidim mark this day, the fifte lechtel, as a yom tov. Harav Baruch Hager was born on 29 Nisan, 5668/1908 to Harav Menachem Mendel, a scion of the Vizhnitz-Kossov dynasties. From his earliest years Rav Baruch was known for his sterling middos and his interest in helping Yidden. Rav Baruch married the daughter of Harav Tzvi Hirsh Rubin of Mishelnitz, who was the son of Harav Yitzchak Tuviah of Sanz, a son-in-law of the Divrei Chaim of Sanz, zy”a. On 2 Sivan 5696/1936, the Ahavas Yisrael of Vizhnitz was niftar. His son, Harav Menachem Mendel, was named Rebbe in Vishiva. In 1940 the city was taken over by the Hungarians, assisted by the Germans. Authorities began to systematically kill the Jews. Hy”d. Rav Menachem Mendel was taken for humiliating questioning. Taking ill from these encounters, he traveled to Klausenberg, where he was niftar on 13 Teves 5701/1941. His oldest son, Rav Baruch, was named Rebbe. Initially, the Nazis did not try to physically hurt the Yidden, who were Hungarian citizens. Since many of the city’s records were burned during World War I, Rav Baruch arranged for the printing of false Hungarian birth certificates to save Jewish lives. One night, he was taken in for questioning. The next day he was taken the Talanz Has camp. When Hitler took over Hungary, the Rebbe was moved into the Jewish hospital in Budapest. 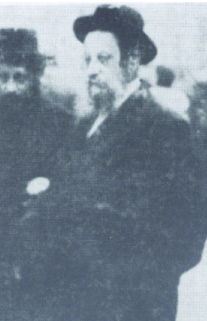 After bribing the guard, the Rebbetzin arranged for Rav Baruch’s escape. He managed to reach his uncle, the Imrei Chaim of Vizhnitz, zy”a, who was then in Grossvardein. Along with a group of about one hundred others, all dressed as farmers and ready with Romanian identification, Rav Baruch tried to cross the Romanian border. The group was caught and returned to the ghetto in Grossvardein. In the meantime, the Imrei Chaim and others had escaped. Rav Baruch hid in a bunker in the ghetto with eight others. They were discovered and sent to Auschwitz. Reb Baruch was killed on 29 Kislev, the fifth day of Chanukah 5705/1944. He was 36. Hashem yinkom damo. In 1917, during World War I, the United States declared war on Austria-Hungary. In 1941, Pearl Harbor, located on the Hawaiian island of Oahu, was attacked by nearly 200 Japanese warplanes. The attack resulted in the U.S. entering World War II. In 1972, America’s last moon mission to date was launched when Apollo 17 blasted off from Cape Canaveral.